I am cross posting with Ruth Ayres Celebration Link-up and Margaret Simon's DigiLit Sunday being hosted by Julianne Harmatz this week. 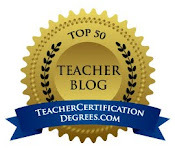 I invite you to check in with each of these blogs to read how others are celebrating and conferring with students. There is nothing better than being invited to teach beside another teacher in writing workshop. This last week, I've been privileged to work alongside three different third grade teachers. In two of the classes, we are learning about blogging and preparing for their first blogs. In another class we are working together to discover where writers get ideas and created heart maps. In all three classes, I was able to confer with students. In his latest podcast, Ralph Fletcher reminds us that as we get writing workshop up and running, teachers should act as hosts. We want our students to feel welcome and successful. This philosophy goes right along with that of the National Writing Project. One of the greatest lessons I learned from my summer institute was the answer was always, "Yes!" It didn't matter what teachers wanted to write about, the answer was, "yes." 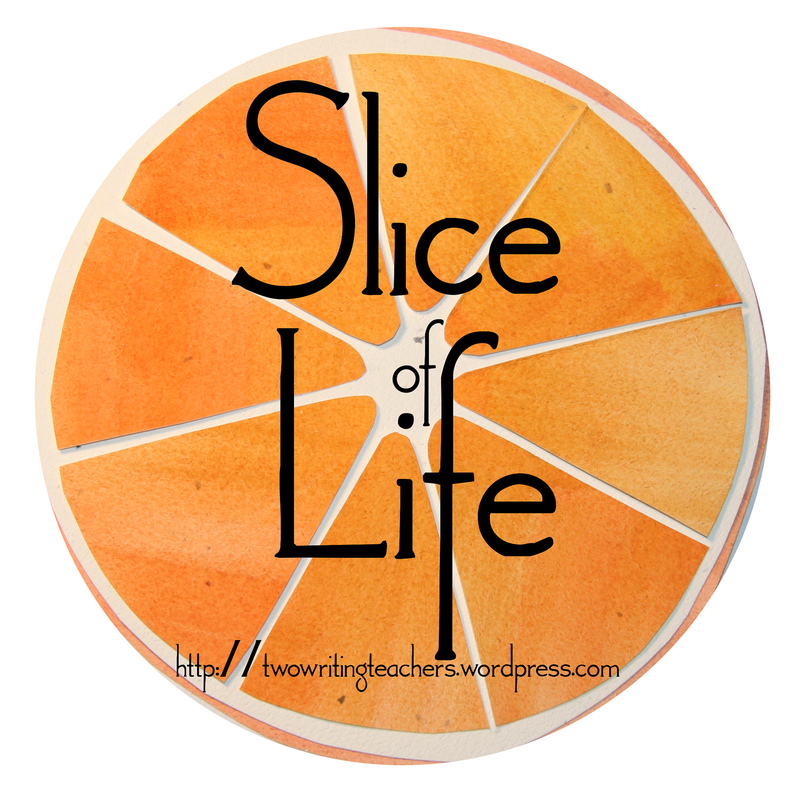 Teachers are given ownership of their writing and that's exactly what I want to do for the students I work with. 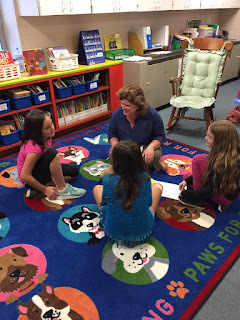 On Friday morning, I sat on the carpet with a handful of students who were having a difficult time thinking about what they wanted to write about in their blog post. The rest of the room buzzed with focused talk about a variety of topics as students bent over their writing pieces. As we sat on the floor together, I could see glints of anxiety in their eight year-old eyes. Oh, I've been there...not knowing what to write about while everyone else was scribbling or typing away. It's not a good feeling. Football? Could you write about an exciting game you played? Could you write about a favorite football player? Could you write about what you need to do to prepare to play football? Artist? Could you write a post about how to create something? Could you write about one of your favorite projects? Could you write about how you learned to do a certain kind of art. One by one, ideas were sparked and I heard, "Hey, that gives me an idea!" more than once. Eventually, there were three students left. We decided that we would all help each other so that no one was left sitting on the carpet by herself. It was here that I decided to step back and let the girls take over asking the questions. They easily modeled the type of questions I had asked previously, and before we knew it, all three students were ready to write. As the teachers and I circulated around the room, we bent down to check in with kids, encouraging them, and showing our excitement over their writing. We were the hosts welcoming new writers into the workshop, making them feel appreciated and excited about the work they were doing. Teachers should act as hosts. I love this idea. And your modeling so the three girls could ask the questions of each other was genius. Thanks for inviting us to check in with each of these blogs to read how others are celebrating and consulting with students and also thankful to you for explaining how to confer with students. Great thoughts of using Sunday holiday by sharing digital teaching and literacy thoughts. I would like refer your blog to my students who are taking dissertation writing help from the http://www.qualitydissertation.co.uk so they can also take a benefits of your activities as you have arranged class in which you teaches learning about blogging and preparing for their first blog as well as able to consult with other students. It is a natural thing to feel anxiety with your teacher (or even friend) looking on. We all worry, "is this ok?" Creating that welcoming and supportive environment is key. What fun it is to get all in that zone of creation! I love the part where the girls took over, Julie,that's what great conferring allows kids to achieve - agency! The gradual release of responsibility in action! Yes, Julie, this lesson had many pertinent components that helped students to spark ideas and carry them through. Your post provides a clear idea to make something creative while doing homework by hiring assignment writing services. Thanks for sharing. "Football? Could you write about an exciting game you played? Could you write about a favorite football player? Could you write about what you need to do to prepare to play football?" This is a great idea! it gives student motivation and inspiration to write. There's also a great sentence meaning checker they might find useful! We understand the exorbitant amount of money students would have to spend to get more than 36 assignments done in 3 years. So MyAssignmenthelp.com has come up with a noble initiative of creating a specialized team of cheap essay writers in Canada to provide top-notch assistance at affordable prices. Good work. I have been working with a dissertation writing service UK and believe that working tasks like above one, make students able to learn effectively. Good Job keep it up. and Thanks for share nice post with us. Learning and creative thoughts, idea is the best thing, because it will gives more knowledge and improving the lifestyle in a better way. I am John and i am offering Assignment help to students of Australia and all over the world. Nice information on your blog.. So thanks a lot sharing this blog.. i am Andrew symond and iam offering pay someone to do my assignment services for students. I appreciate your effort.This work is really admirable.I am offering Cheap Assignment Help in Australia. Get the Best Of myassignmenthelp in UK. Thanks for sharing this valuable information to the users. Keep it up. I have found a good info regarding ipad app development company USA, Have a look over there. Online business procedures are the characterizing parameters for overall organizations. Web based business then again is additionally appropriate inside your homes. We as a whole want to do shopping appropriate on our cell phones while in a hurry for Professional Link Building Services. I found this is an informative and interesting blog so I think so it is very useful and knowledgeable. I would like to thank you for the efforts you have made in writing this blog. Visit at PHP Application development company. For Best Programming Assignment Help in Australia for 24*7. It is good to read such valuable information and thanks for sharing it.